What is the AHP Equine Media Conference? American Horse Publications (AHP) has held an annual conference for its members since the 70s. 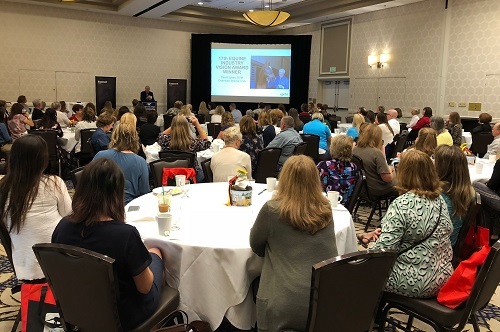 The three-day equine media event is jam-packed with educational sessions, special events, and the announcement of the AHP Equine Media Awards. Sessions cover publishing, journalism, revenue building, marketing, professional development, and many more. The conference is the number one place in the equine industry to network with the equine media and members of AHP. The AHP Equine Media Conference is a members-only event. Attendees include equine media professionals, niche publishers, equine-related brands, nonprofit organizations, freelancers, and students. It's an opportunity to connect with professionals in the equine media industry in both casual and business environments. Not only do members have a chance to renew relationships, but they also exchange fresh ideas and make new contacts. If you are a freelancer, publishing media, or an equine-related business, consider attending the annual conference. The 2019 AHP Equine Media Conference is scheduled for May 30 to June 1, 2019 in Albuquerque, New Mexico. The annual event rotates throughout the US. In 2020, AHP celebrates its 50th anniversary at the AHP Equine Media Conference to be held in Lexington, Kentucky on May 28-30. Not an AHP member? Join today. Apply now.